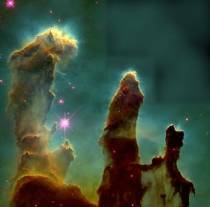 The Galactic Question Center: Stairway to heaven? Both. It helps if it happens to be on the side of the people. It hinders if it happens to be on the side of the state or some powerful private entity. the contents of the collective unconscious..attempting to identify obliquely using various anthropomorphic titlings and subterfuges...this ethereal thing so fiscally disprofiable is brought to heel for the satisfaction of the Investor, by the shepherding of resources into the coffers aggressively pleasantified: 'deep religiosity smells like good dope cooking.' The work of the stone extracts a cost that must be paid/ the masonic upkeep on any house of worship needs many sacramental pantomimes played by fems clad in fineries equipped with plunging pools and cloaks, other such shibbolisms, all very well for my mother who reads her woman's bible dutifully and for jowling old re-spectful from the whiskey whiskey duece, but for anyones liberated head in the 21st century why waste your income and time singing hymns and pulling suicide bombings when you could be having secular fun? There is nothing I can say that won't piss someone off. I'll just say that organized religion is a helpful hinderance. Organized religion does tend to provide a kind of unlegislated morality. But at what cost? Religion has caused so many problems for civilization yet they have helped as well. If religion would only attempt to tame mans heart rather than control its mind we would be far better off. Yet, in a weird sort of way I have to say it was a necessary evil. Maybe religion was indeed a necessary evil. I guess organised religions, thanks to their unchanging and absolute scriptures created very stable societies, because only a very narrow spectrum of thougt was socially acceptable. In ancient Egypt religion and state were practically one*. Through religion, the state had a very big influence on culture. Religion is, after all, an important part of culture. These Egyptian states lasted for thousands of years, with a population of mostly farmers on the edge of starvation. On the island of Bali in Indonesia, the undertaking of growing rice, is defined into detail, as are social relationships, by the local religion**. In practice the method for growing rice, as defined by religion, has been proven to work better than any other on the long term. This Rice-growing culture has existed on Bali for hundres of years, and is still similar, except there's now a second industry around tourism. As is illustrated by the examples of Egypt and Bali, religion seems to create rather stable societies, with large populations that last for long periods of time. It could be argued that people in these societies were mostly unhappy pretty much of the time. So these societies were mostly evil and not very necessary. This is especially true for the population of Egypt, being on the edge of starvation and all. I think we shouldn't be too quick to judge, though. These societies were, and are, very stable and rather predictable. I imagine this predictable quality made life rather stress-free. If I see how anxious many people are nowadays, it makes me think life in those days might have had it's perks. If you made it all the way down here, thanks for paying attention to my long and semi-related ramblings, I guess. *I read this in "Cannibals and Kings" by Marvin Harris. See the chapter entitled "The Hydrolic Trap". **For details on this see the chapter on Rice Growers in "Man on Earth" by John reader. I may have mistaken the name of the Island, as I don't own the book and can't look it up. I think Religion plays an important evolutionary role in spirituality, most people I know personally are all at diffferent places in their own spirituality , these are people from all walks of life and all socio economic groups, what seperates them is each person's spiritual rank as it were.Some people desperately need Jesus and some don't even need a name for their particular religion,even so there are no two people who have the same religion , this supports this theory , each perso's outlook on who god is differs based on each persons actual life experiences , an example is a little kid sitting in Sunday school being shown a picture of god in flowing robes with a long grey beard , across town at that same moment aonther kid is being shown a picture of god with a white beard , these two kids will have differing beliefs from that day forword without even knowing it .I have a friend who has an iron grip on christianity , I have always wondered why he thinks it is so important to hold on so tight and recently I have had a chance to watch him up close on a daily basis as we are working on a project together , he needs his tight grip just to stay in the life he has with the wife he has and it is what he thinks keeps him afloat and not sinking into a world of despair , he beleives this strongly enough that he may be right in his case.Again I want to stress evolution , a word hated by many Christians but they themselves are a part of the evolution of the human spirit. "Organized Christianity has probably done more to retard the ideals that were it's founder's than any other agency in the world." Some altruistic non doctrinal activities, eg soup kitchens, AIDS work etc are helpful but are also extended with equal benefit by humanistic organizations. Religion in general is usually a crutch and an often dangerous excuse for war, genocide and the repression of other's right to self determination and free expression. The purportedly higher moral orders of most, particularly the Abrahamic religions, are usually forced and enforced by the sword. Humanity might benefit by working toward justice, housing, food, medicine and education for all human beings n a healed environment. Certainly these ongoing religious wars continue, as they always have, to line the pockets of the greedy and the powerful. We are afraid of the mystery of death/ post death and despareately seek pre packaged guarantees whose price is ignorance blood shed and continued servitude. It helps the many, and impedes the few. It helps and hinders it. Some people are way too crazy about it and go over the edge, I've met a whole family like this and an individual. The day I elected to not embrace a formal religion, I became a happy person. To me, that is freedom. Like any other tool it depends on how you use it. I would not say religion has been a hindrance. Its the word organized that is the gross hindrance. Although I know little about it, I have never heard of a name of an American Indian religion. The closest I've ever heard is "great Spirit." How wonderful. I read the book "Black Elk Speaks" & thought, how wonderful. To me, religion is a very private matter & should be totally contained within the home & a place of worship. If someone asks about it, you can tell them. Scripture should be written as suggestions of wisdom & possibilities, not statements of irrefutable fact, somehow always open to Mr. Cleric's interpretation. Books of "scripture should carry names like John Donnes "Devotions Upon Emergent Occasions" or "spiritual Reflections of Life and Beyond." If no religion had ever had a name & become organized beyond single places of worship built by local groups- then we have religion without the stigma of "organized" & "hindrance." And don't forget one other thing-to paraphrase George Carlin- "God needs money?" I am sorry to say that no matter what planet you are from in the entire cosmos, if there are intelligent species with emotion, there are going to be organized religions. I am sorry to say that because it is never the religion's fault- it is always man's fault. No religion ever caused the horrors of history, men did. People like myself who have distanced themselves from organized religion, by & large & in reality, are separating themselves from the leaders & zealots OF religion. Tame the men, tame the ego, to where religion does not revolve around men, but the other way around, & you can have helpful religion-for everyone, including the ones who do not wish to belong. Along with this, women must be involved on an equal basis. Subjugating women only serves to remove fifty per cent of human potential, & in human discourse, the best half at that. My wife, my mother, & my daughter would provide for a world superior to that of me & my good old boys club.